Nicole Clevenger is with us today to share some handy tips for fitting quality reading time into our busy after school schedules. 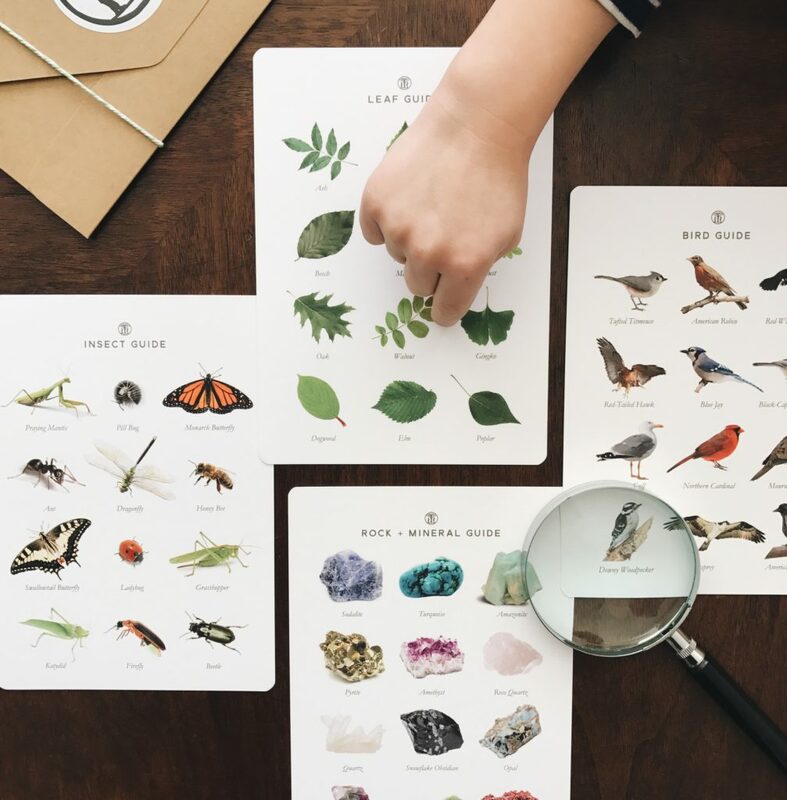 It’s back to school time, and when you meet your child’s teacher for the first time, you will be bombarded with different ways to support your child’s reading at home. Your child’s teacher will tell you that reading at home is an important predictor in creating and supporting lifelong readers. When the teacher (strongly) suggests that your child read at home, and self-select reading material, every single night for 15-30 minutes, you’ll think sure, no problem! But then you will begin to panic, because when you think about the hectic evenings in your house you don’t see how this is going to be possible. Your family has soccer practice after school, piano lessons, math homework, projects due, baths/showers, and bedtime rituals. Multiply this by several children, and the realization that at some point among all of this craziness everyone has to eat, and there are no more minutes left in your day. Encourage your children to carry a book at all times. 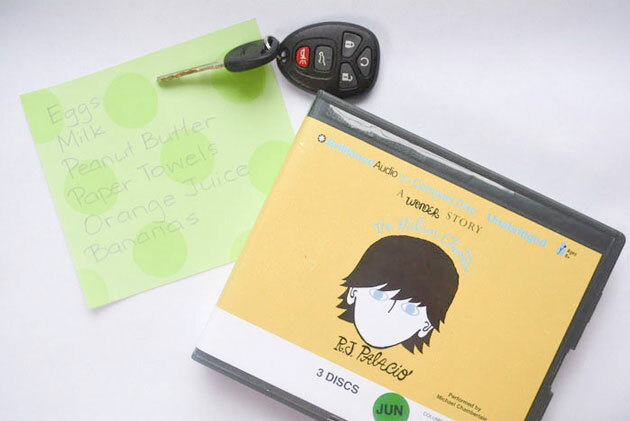 Keep books in the car, in backpacks, and even in your own purse! While one of your children is waiting for her sibling’s soccer practice to end, hand her a book. On the way to the softball field, your child can sneak in a few more pages while she’s in the car. Does she have a doctor’s appointment? Let her read in the waiting room. If your child always has a book on hand, she can read during all of the “down times” that happen throughout the day! Listen to audio books in the car. There are magnificent audio books at your local library that come highly recommended because of the narration. Turn off the radio, and listen to a book (yes, teacher’s still consider that reading). Whether it’s a short trip to the grocery store or a weekend visit to grandma’s house two hours away, who doesn’t love to sit and listen to someone else read to them? It’s also a good model for fluent and expressive reading! 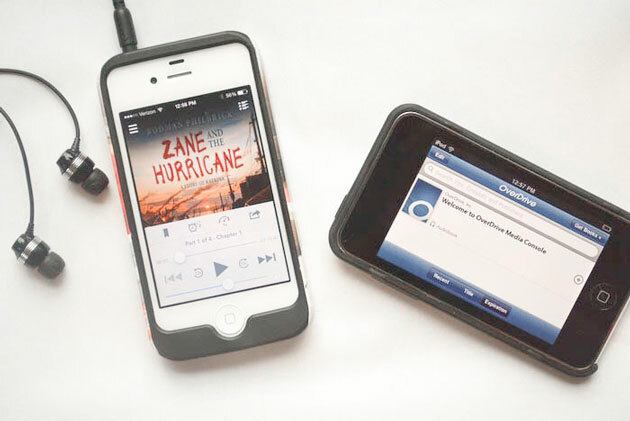 Download audio books to an iPod, iPad or Android/iPhone. Did you know that you can download audio books from the library or use a mobile or desktop app like OverDrive Media Console? Visit OverDrive which allows you to download a book for a specified lending period. Your child can listen to the book while she’s doing chores or walking the dog. *Be sure to go back and read the post from April 7, 2014. Rebecca from Thirteen Red Shoes recommended some great audio books that her family enjoys. For more information about the benefits of audio books, check out this article by Denise Johnson, assistant professor of reading education at the College of William & Mary in Virginia. 4. Read aloud during dinner preparations. Ask your child to read to YOU while you’re cooking dinner, or better yet take turns cooking and reading to one another. She can read the next chapter in her favorite book or review recipes. To get your family talking about current events at the dinner table, choose to share magazine articles and newspaper headlines. 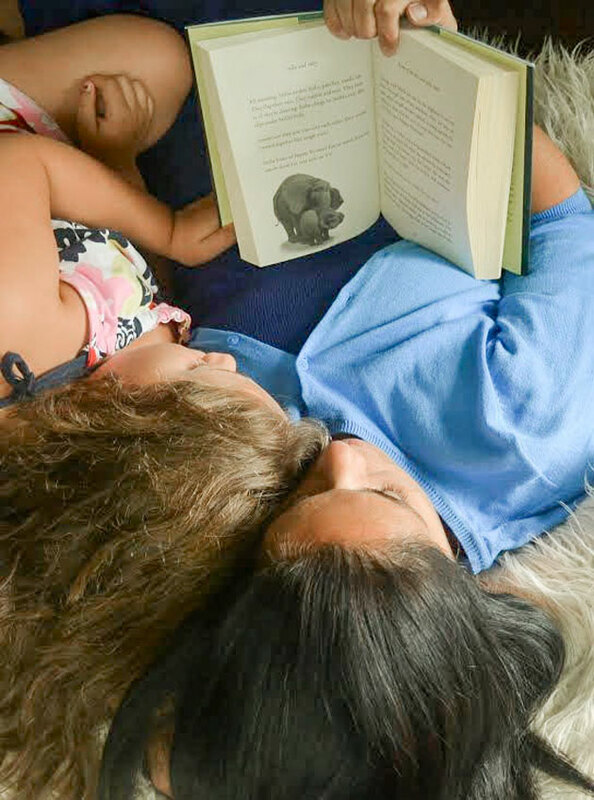 Make reading part of your family’s daily routine. In my house, bedtime is the easiest way to fit in reading. The kids are tired, they’re quiet (usually), and they don’t mind sitting still. But if that doesn’t work for you and your family, try a different time – maybe first thing in the morning, right after breakfast, waiting for the bus, or directly after school. Is there a certain time that you check your e-mails, read the paper, or catch up on your favorite blog? This is a perfect time for your child to engage in some reading too. 6. Share poetry. Poetry is quick, it’s easy, and it only takes a few minutes to share. Over the course of a day or a week, those minutes add up to a whole lot of reading. 7. Select a family read aloud. Ask your librarian for books that appeal to a wide range of ages and read together as a family. Everyone gets to read (or listen) at once, and no more juggling around everyone’s schedules. There are some wonderful novels that the whole family would enjoy, and you are never too old for picture books. 8. Add reading time to your calendar. It might sound forced, but everything else is on your calendar so why not add time to read? Schedule a time each week for the family to stop, drop, and read. Everyone has to drop whatever they’re doing (yes, including you) and READ. Anything goes – books, magazines, comics, newspapers, blogs, etc. Instead of movie night every Friday, make every other Friday reading night and focus on different genres (have a mystery night or poetry night). Every member of the family needs to have something in that genre to read or share. Time may be at a minimum in your busy household, but when it comes to raising a reader finding a way to fit in those 15-30 minutes each night will be well worth the extra effort. 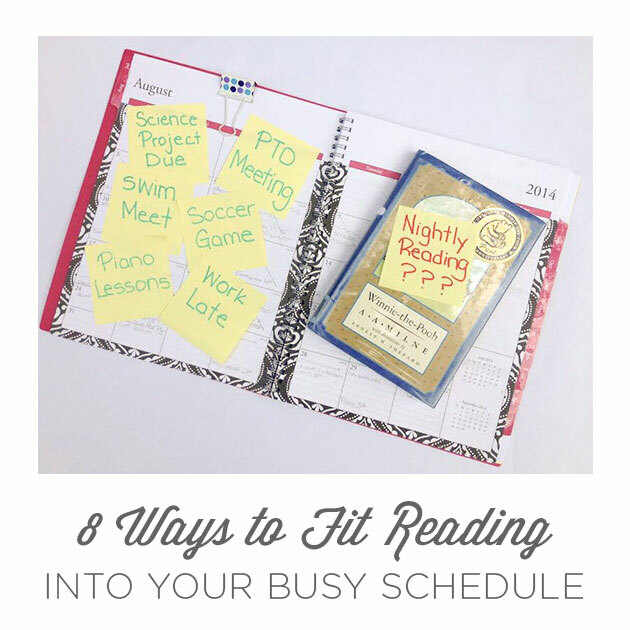 How do you find time in your family’s schedule to make reading a priority?